India is currently one of the leading economies of the world. However, despite the boom of its economy, certain problems continue to thrive and haunt parts of the country. Poverty, especially prevalent in rural areas, is one such social evil which handicaps society and hampers its progress. Most of the times, it gives rise to a lack of awareness, cleanliness and education along with other factors like malnutrition. Where managing for just one square meal is a challenge in itself, affording the money or resources for healthcare is considered a sheer privilege. Medical camps are therefore arranged across the country by various agencies to provide free medical facilities to the underprivileged who have no access to primary healthcare. However, mere check-up, diagnosis and medication or even specialised treatment or surgery are insufficient for this segment of society as they are unaware of the root causes of their illnesses or problems. ‘Prevention is always better than cure’. It is thus extremely crucial to raise awareness amongst the underprivileged towards the various issues and health problems that afflict and continue to fester. 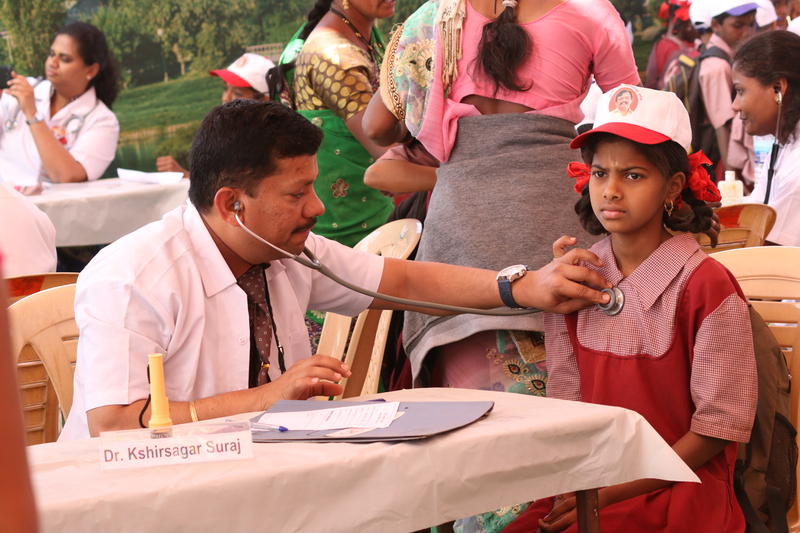 The Kolhapur Medical and Healthcare Camp – is one such program that has undertaken the initiative to work with the underprivileged in the society. It not only addresses their medical problems but also contributes to eradicating various other fundamental issues, misconceptions gripping them that often lead to unhygienic and deteriorating conditions favourable for the spread of diseases and scores of more problems. 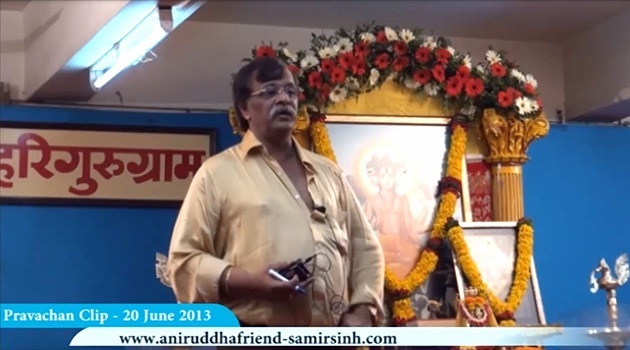 The Kolhapur Medical & Healthcare Camp, a brainchild of Dr. Aniruddha Dhairyadhar Joshi, MD (Medicine) is a classic example of how detailed pre-planning and proper analysis of data collected can yield spectacular results. The first Kolhapur Medical & Healthcare Camp (KMHC) was conducted in the year 2004 by Dilasa Medical Trust & Rehabilitation Centre, pursuant to intense and focused research carried out on the living conditions of people residing in the interiors of Kolhapur. 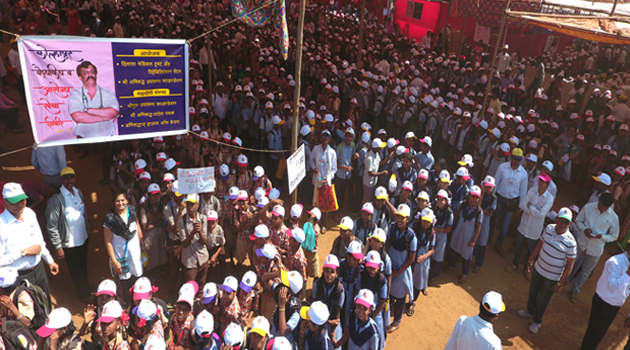 The research was facilitated mainly due to the large presence of volunteers of the organisation in the city of Kolhapur. The research threw up startling facts on the living conditions of people residing in the villages, which were a mere 35 kilometres from the outskirts of Kolhapur. Further, the first KMHC made some alarming revelations. A majority of the patients across age groups had a common ailment – anemia and scabies. While it was felt that tackling scabies was relatively less challenging, the problem of anemia had to be addressed with a greater degree of scrutiny, particularly amongst the children. Further research showed that one of the main causes of anemia among children was the absence of toilets due to which people generally defecate in the open which caused a particular type of worm, hookworm, to thrive. These worms would enter the tender feet of the children and work their way up to the duodenum, where they would break down the red blood cells, thereby causing anemia. The response to this problem was two-fold – (a) increasing awareness of hygiene, and (b) providing immediate protection to the children from hookworm. Since the former was going to be a time-consuming process in terms of creating awareness and having the infrastructure in place, the latter was relatively easy to address. 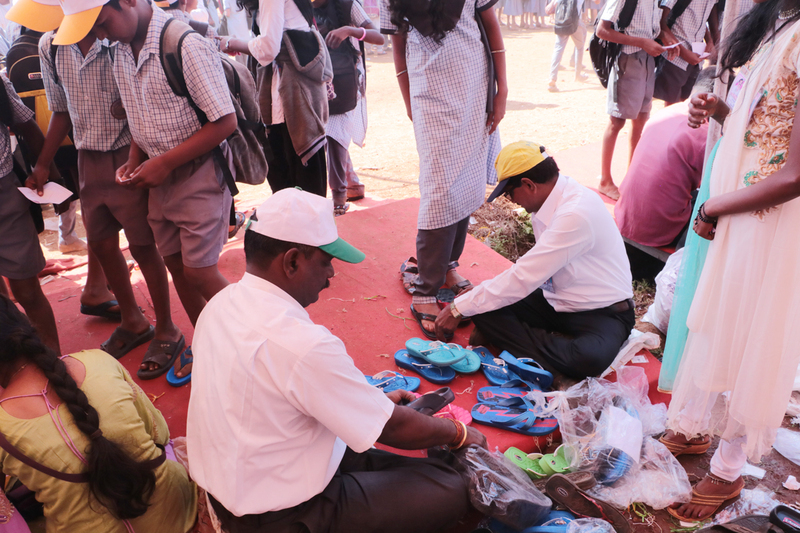 So, a census was taken of selected villages within the radius of the target area and every child was profiled, the size of their feet measured, and at the next camp, every child was provided with a pair of chappals, iron-based tonic to last the entire year. The next year’s camp’s data revealed astonishing results. The incidence of anemia had reduced by more than half as also scabies. In the past 4-5 camps, not a single case of anemia and/or scabies has been observed. Another path-breaking achievement of the KMHC has been the systematic termination of the age-old ‘Devadasi’ system practiced by the villagers. According to their superstition, if a girl child developed knots in her hair, it was supposed to be an indication that she should be initiated into the Devadasi system. Systematic research of the problem revealed that the knots were formed due to unhygienic conditions leading to the girls’ hair being infested with lice. The knots would get formed due to the excreta of the lice and the deadline getting entangled in the hair. The problem was compounded due to the utter lack of a sense of hygiene – the girls’ hair was never washed. Their belief in this so-called tradition was so strong that it would have been futile in trying to talk them into giving up this dastardly practice. The only other practical option was to inculcate in them a sense of hygiene in a manner that was acceptable to them. So in the following year, a census was carried out of every target village, and a detailed profile of each member of every family was captured. Based on the data, every family was provided with all essentials for maintaining hygiene, such as toothbrush, paste, bathing soap, washing soap, two sets of clothes for every family member based on their gender and age and most importantly, where there was a girl child in the family a bottle of anti-lice lotion and comb for removal of lice. The volunteers taught them how to use all the paraphernalia. Within a matter of two years, the anti-lice lotion and the comb had done the trick, and there wasn’t a single case of the girl child developing knots and having to be pushed into the dreaded Devadasi system. Thus, an age-old evil had been eradicated without the people having realised it. KMHC 2017 was the 14th year in which the camp was conducted, and the results are truly heartening. The literacy levels in the target villages have improved significantly over the years. The health profiles of the villagers have undergone drastic changes. No new cases of anaemia and scabies have been observed. There is an increased awareness amongst parents on the need to send children to the school. Two children who have been beneficiaries of the camp over the years have secured admission for BHMS (Homoeopathy). Distribution of uniforms and sports material to the school children. 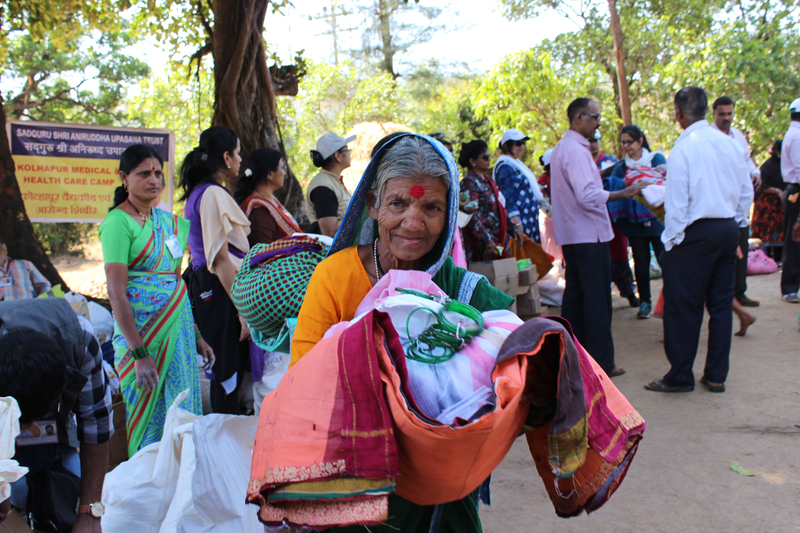 Distribution of clothes and hygiene material to the villagers. Free Health check-up of the school students and the villagers. Eye check-up and distribution of spectacles. Meals to the children and the villagers who attend the camp. Distribution of clothes and hygiene material to villagers.